The role of the computer expert becomes increasingly relevant to the proliferation. Nowadays, the attacks such as phishing or data hacking for ransomware purposes are the main issues. Hence, these specialists perform a thorough analysis on the affected devices to solve the issues. And also they obtain the digital evidence to get it right. While hackers try not to leave traces, their footprints are not so easy to erase. That is why their job is to shed light on the hacking. This can be done by the reconstruction of the activity of the electronic device that has been used by the hackers. This is explained by Telam Maximiliano Bendinelli, the computer forensic expert. A specialist works with Pablo Rodríguez Romeo in the CySI, said that last year they received a large number of queries from companies about the attack. Bendinelli cited virtual hacking of data for extortionate purposes known as ransomware. The hacking of data stored in a technological device to be later released in exchange for a ransom. With their experience in the cases, the experts dealt with in the study. They found that the cost for the release of the data usually ranges from the US $ 300 to the US $ 1,500, always in Bitcoins. These experts found sometimes interesting turns in the case of ransomware. They could even solve the situation without paying the hackers. 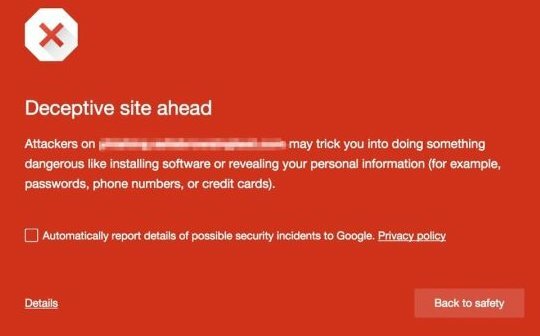 The hackers trick the users with some fraudulent methods that intend to direct them to some other page. If the user gets into to the page, paves the way to download some malicious codes into their computer for hacking their data. Some reputed banks are also victims of these attacks, but they don't want to expose it. Rather, they get the experts' consultation to solve the issues. The intervention of the computer expert becomes crucial in the field. They carry out the corresponding analysis, obtain and safeguard the digital evidence of the users. And also to implement the necessary methods to avoid invalidating the test. The investigation of the issues arises from an audit, working with those who might be involved. And also identifying the correlation of facts and equipment. The victims or the users never work with the original evidence. Because the users run the risk of damaging it. Hence, they proceed to preserve the evidence from a forensic copy. The forensic copy allows recovering all the information on the disk. Even the deleted, and also rebuilding the hacker's steps on the computer. Currently, it is very common to use the forensic investigation software. It allows the analysis and processing of a lot of information with unmatched speed. This kind of software showed very good results. It makes technology a top-quality alternative to the old forensic computer applications. The specialists summarized the work of the computer expert as a researcher and consultant. This is to carry out the processes, using the benefits offered by the research software and the management of various analytical tools to find hackers. This allows the identification of relevant data and cross-referencing of fundamental information.